Gel liners are my favorite form of eye liner.. 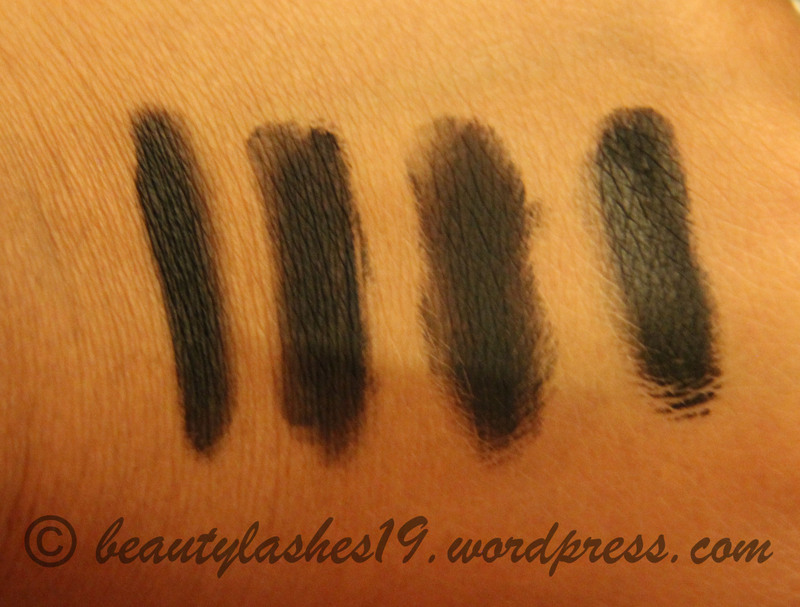 Here are the four gel liners I have in black.. thought of testing them out for their intensity and length of wear.. 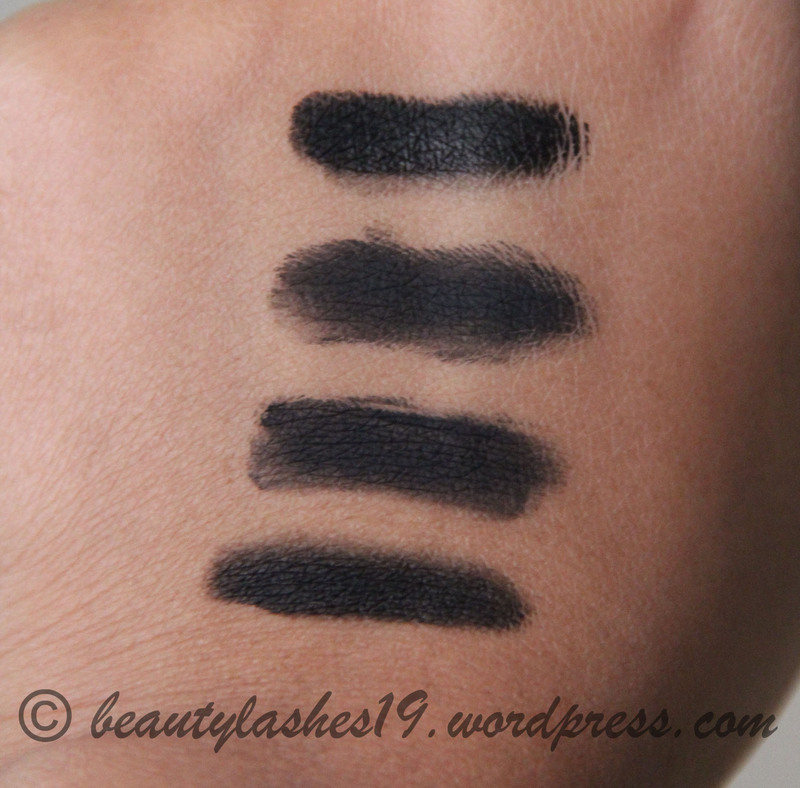 They range from mid to high end gel liners – I do have a drugstore gel liner but its not in black (hence not included)..
As seen in the swatches above, as far as intensity is concerned, the most intense black gel eyeliner is the one by Inglot followed by the one by Illamasqua.. 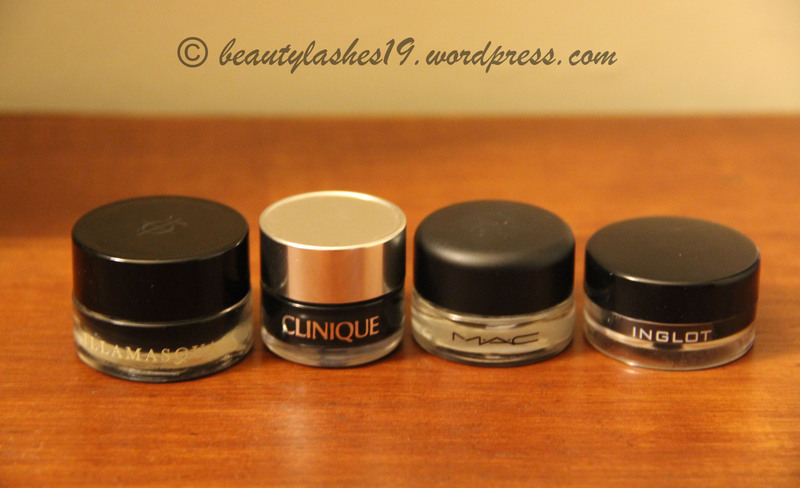 The ones by Clinique and especially MAC almost look grey in the swatches.. However, for lasting power, the best was Illamasqua followed by MAC and then Clinique.. Inglot gel liner also lasted throughout the day but would smudge badly if I accidentally rubbed my eyes.. So, overall, my favorite for intensity of black and lasting power is Illamasqua precision gel liner.. Black is the only shade they make it in as of date.. However, it is quite pricey – costing £18.00 or $28.00 USD for 5g of product.. So I save this for special occasions..
MAC Blacktrack costs $16.00 USD for 3g of product..
Clinique brush on cream liner cost $16.00 USD for 5g of product..
Inglot Matte gel eyeliner cost $12.00 USD for 5.5g of product.. 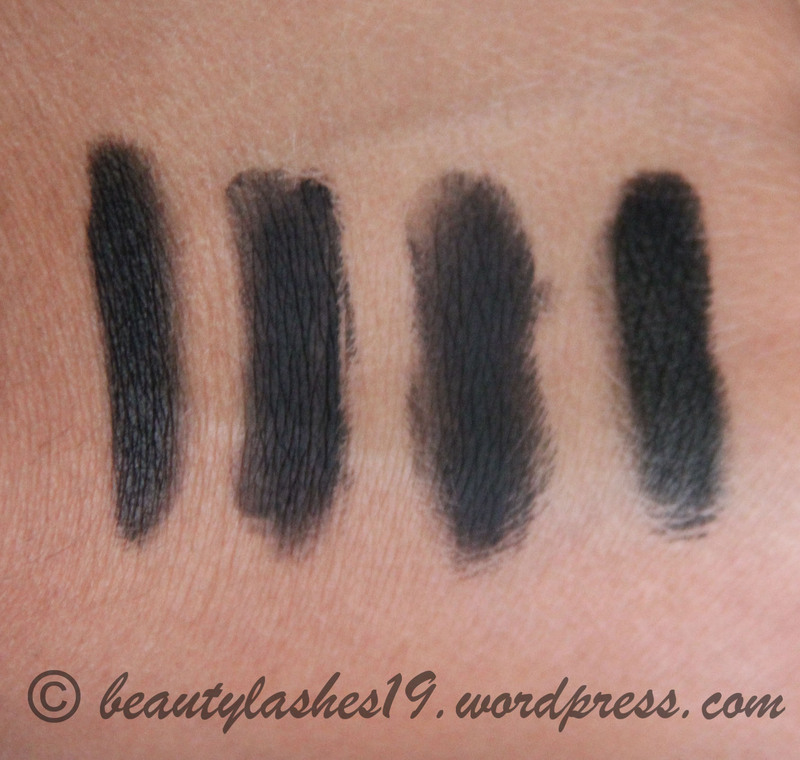 Considering cost, the best eyeliner amongst these four worth its buck is the Clinique brush on cream liner.. If you can keep your hands without scratching your eyes, the Inglot Matte gel eyeliner makes the best bet..